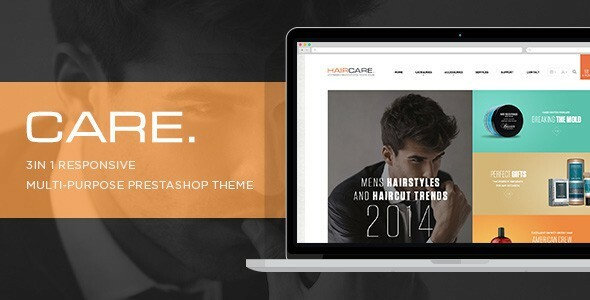 Pts Care is a perfect Multipurpose Premium Prestashop theme for Beauty, Cosmetics, Hair salon, Healthcare website etc. The theme comes with super flexible layout system that is powered with the best Drag and Drop Page Builder to build layouts in some simple clicks. The builder includes over 50 widgets to build any content for your site without any 3rd extension. The theme has its own theme control panel, the powerful and intuitive control panel has a lot of options for store management and even customize your site: Megamenu Builder, Live Theme Editor, etc. Item Reviewed: 3in1 Multipurpose Premium Prestashop Theme 9 out of 10 based on 10 ratings. 9 user reviews.